Google is once again helping the Chinese government and its Orwellian control over the flow of information. 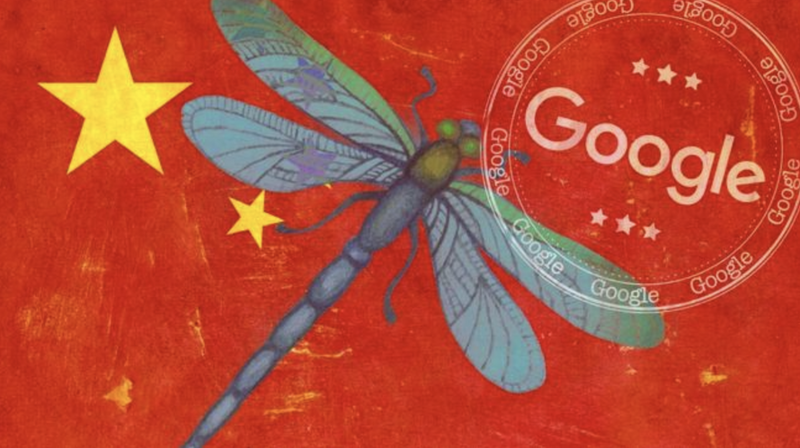 Earlier this month, evidence emerged suggesting that Google has continued to develop the “Dragonfly” censored search engine despite claiming they had abandoned it after an internal revolt. VPNs are the only way Chinese users can circumvent draconian internet filters which have blocked sites such as Facebook, Twitter, Gab, Instagram, Reddit, Discord, WhatsApp, WikiLeaks, Google and Gmail. Blocked news websites include Zero Hedge, BBC, Bloomberg, Reuters, WSJ, NYT and Business Insider. 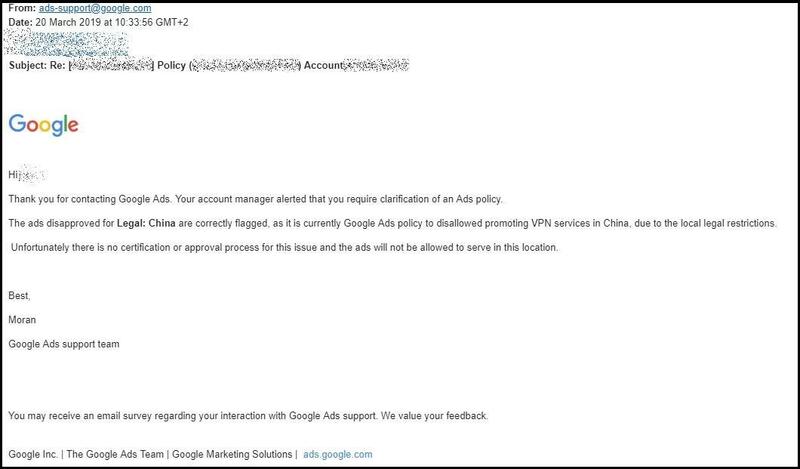 “It is currently Google Ads policy to disallow promoting VPN services in China, due to local legal restrictions,” Google said in a Wednesday email. The email was received and shared with ZDNet by VPNMentor, a website offering advice, tips, and reviews of VPN products. In January 2017, Beijing cracked down on VPN services – requiring that all providers active in China register for authorization from the CHinese government. In July, China forced Apple to remove all VPN apps from its App Store. After that, a “full-out ban on all VPNs was imposed on March 31, 2018,” according to ZD – though some apps continued to function regardless. Nonetheless, Chinese officials are now using the ban to go after users caught using VPNs. The first fine for using a VPN product was issued earlier this year to a Guangdong. Despite banning consumers from using VPN apps, China remains one of the top sellers of VPN technologies. A November 2018 study found that almost 60 percent of the top free mobile VPN apps are run by companies with Chinese ownership or based in China. We wonder if Google employees will protest yet another example of helping China to keep its citizens in the dark?